Li Lac Chocolates is Manhattan's oldest chocolate house, producing old-world artisan chocolate made in small batches since 1923. George Demetrious, a native of Greece who studied the art of chocolate making in France, emigrated to New York and opened his shop on Greenwich Street. Since then, they have expanded to include a location in Chelsea Market and a rotation of one of the largest selections of gourmet chocolate in America. 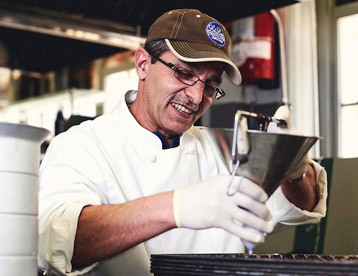 Every delicious item is made by hand locally right here in New York City! We're thrilled to now be able to call them our neighbor.